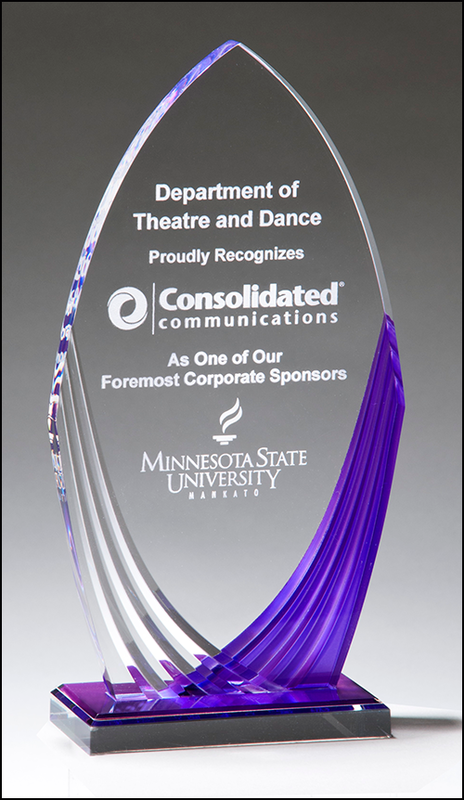 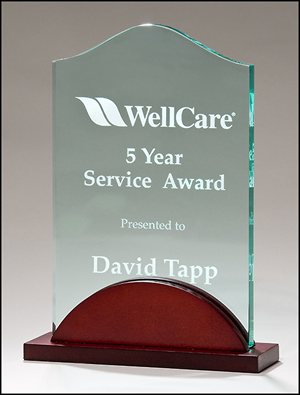 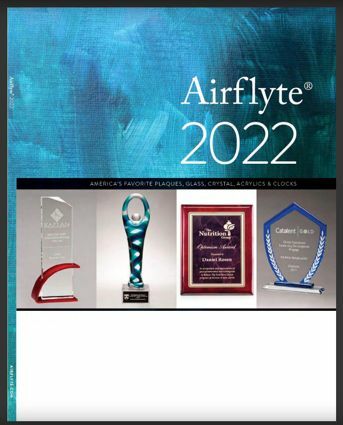 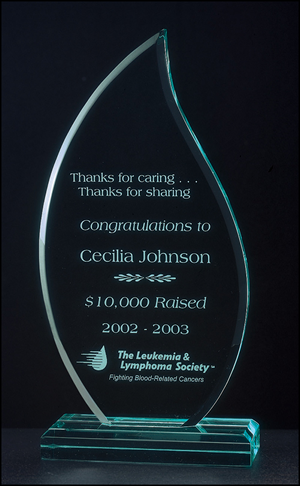 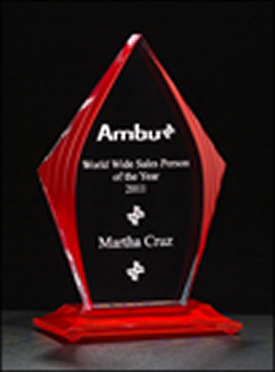 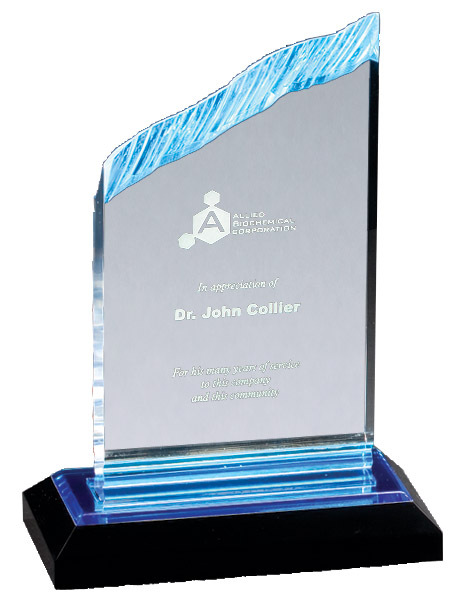 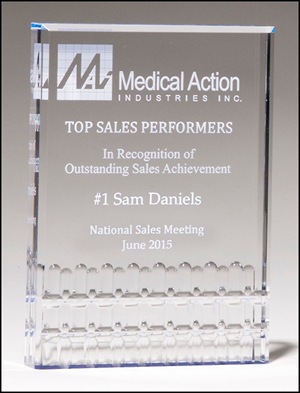 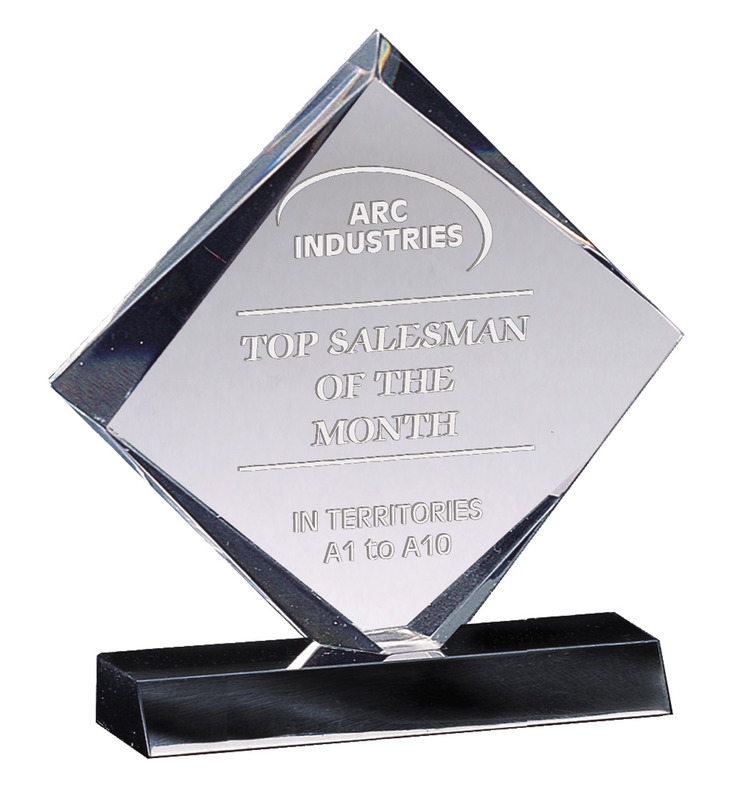 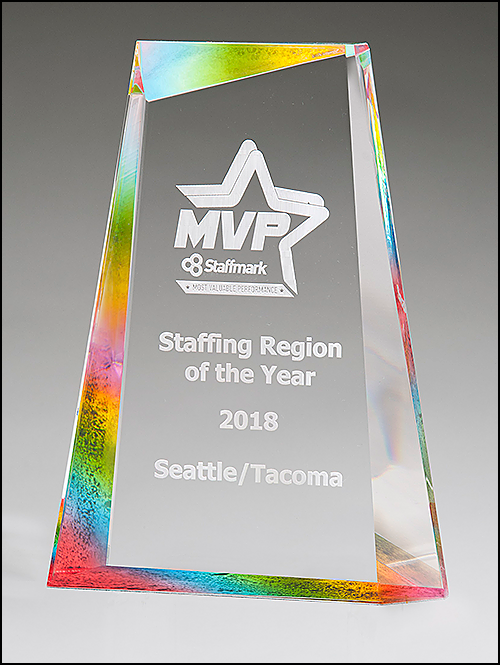 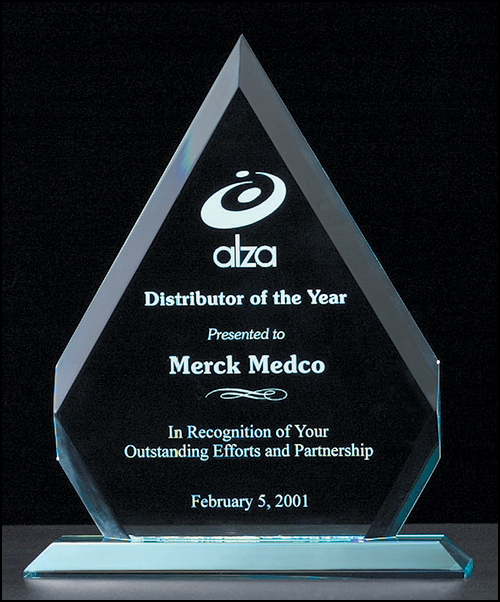 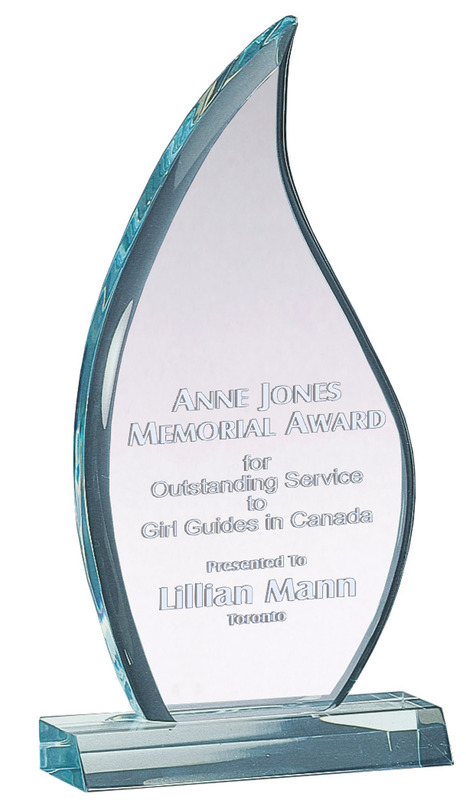 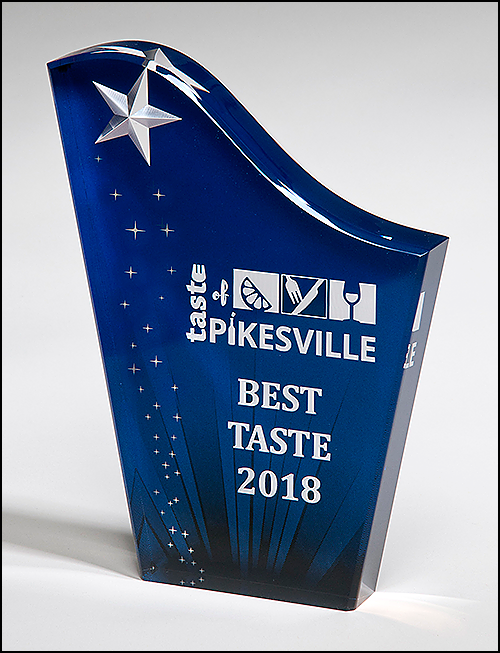 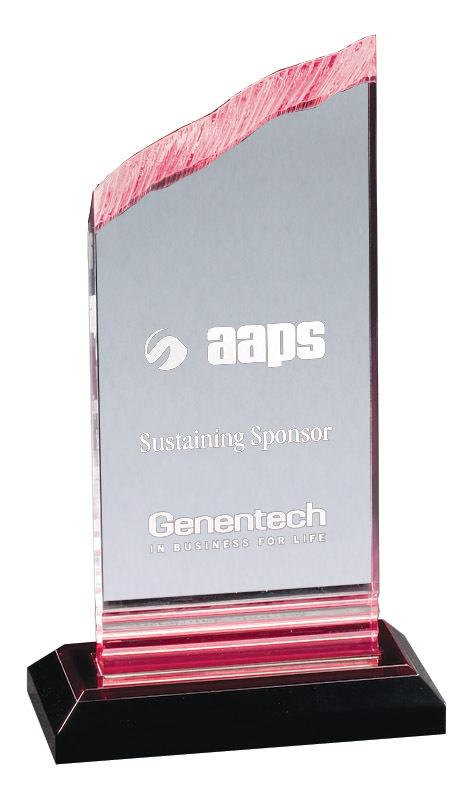 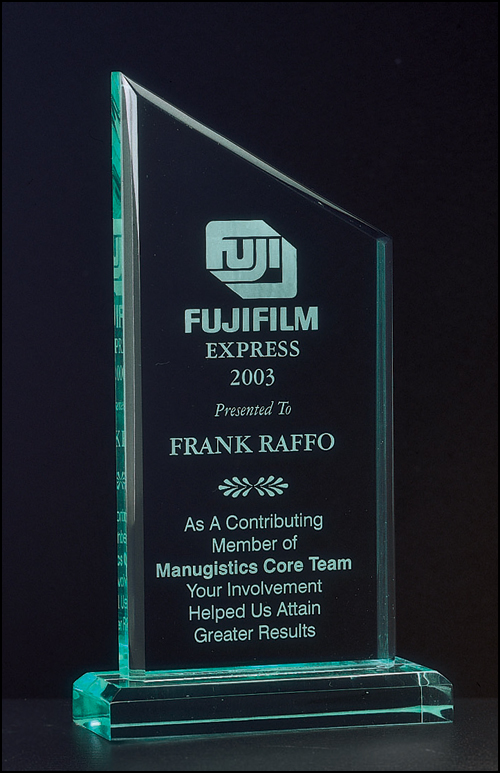 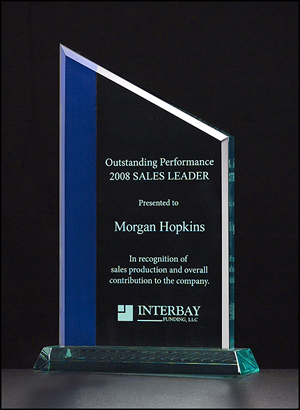 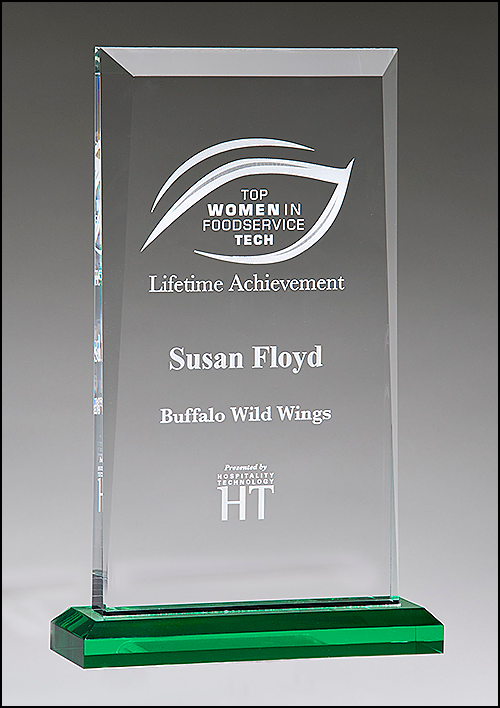 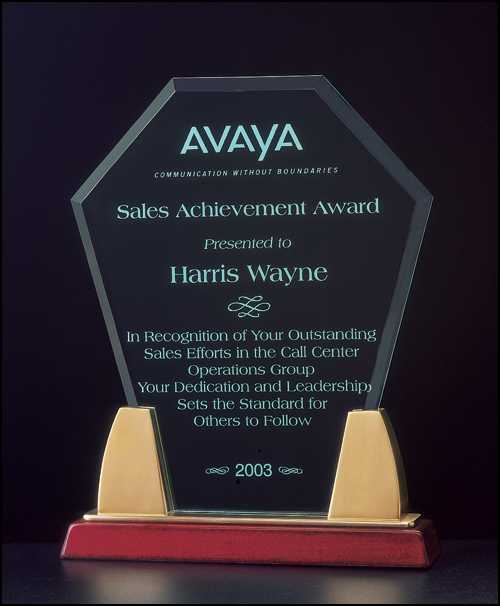 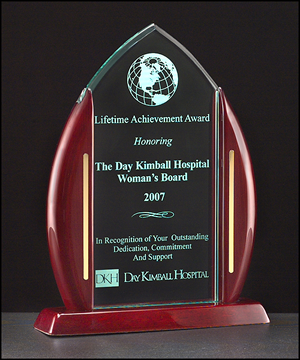 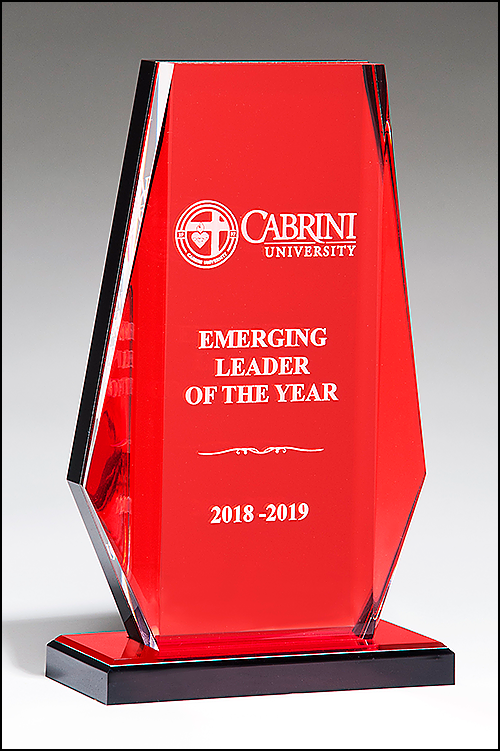 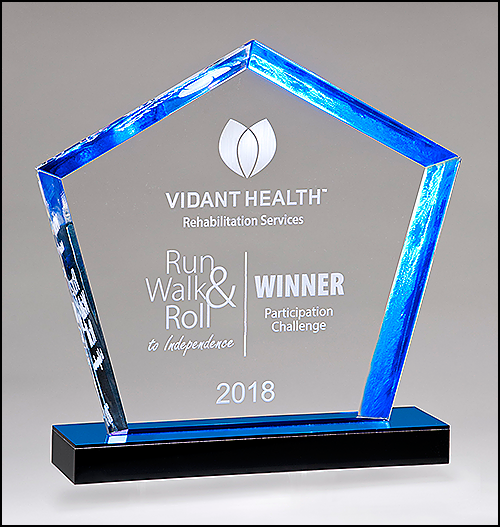 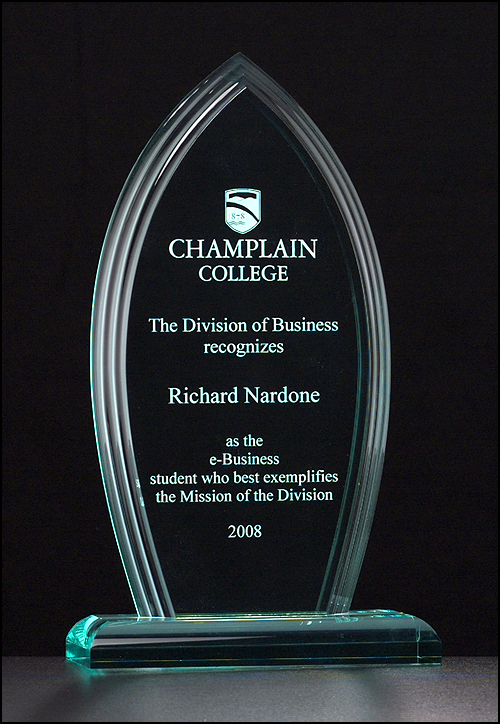 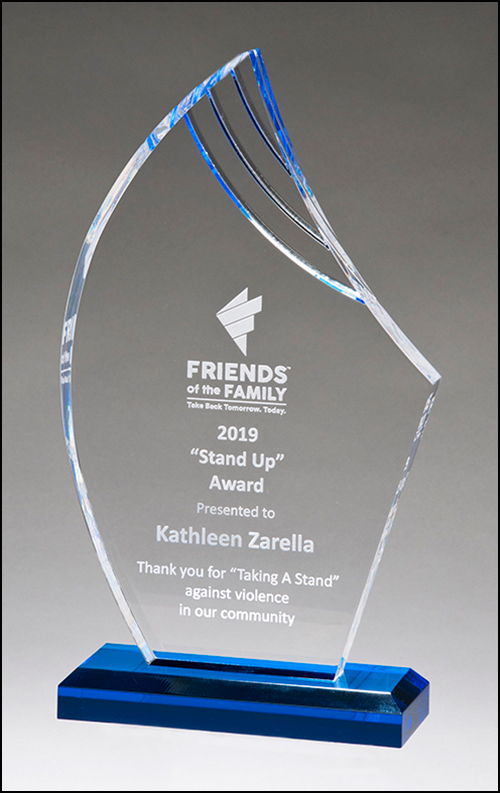 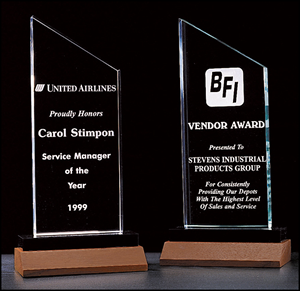 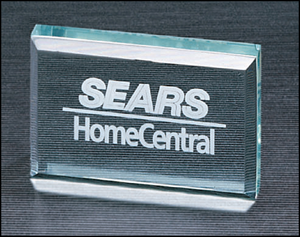 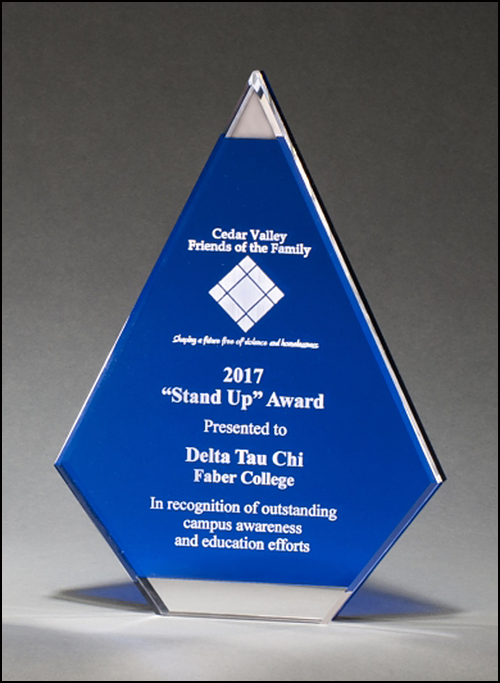 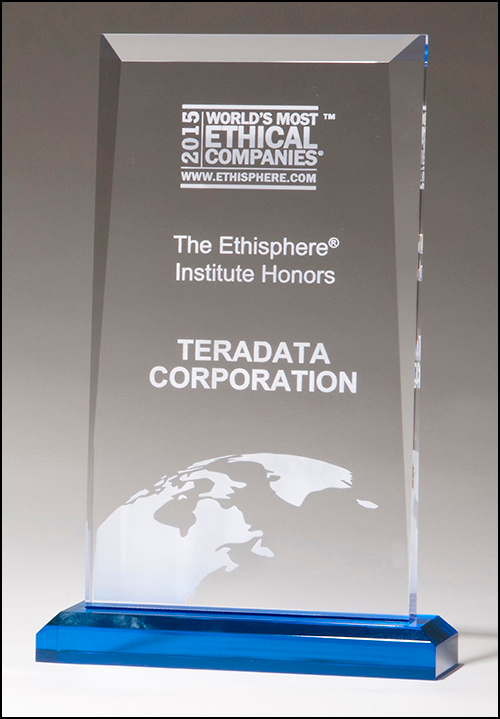 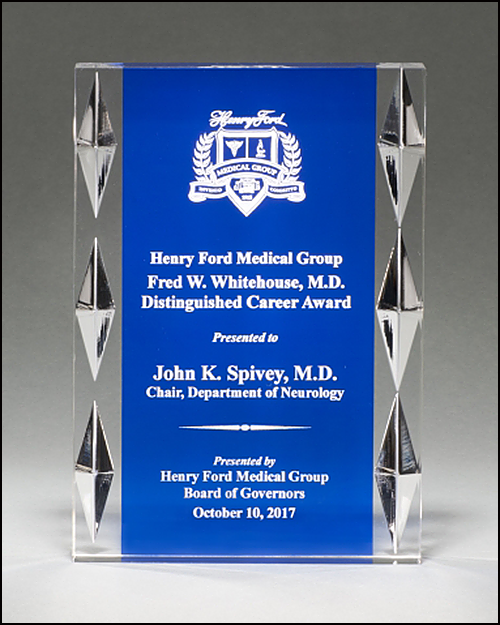 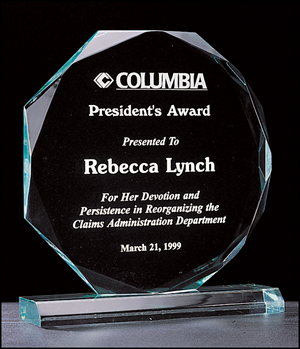 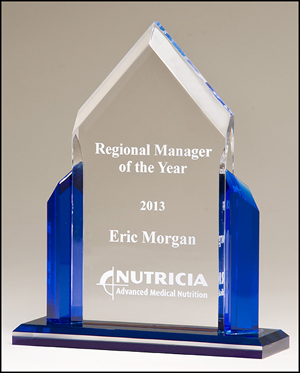 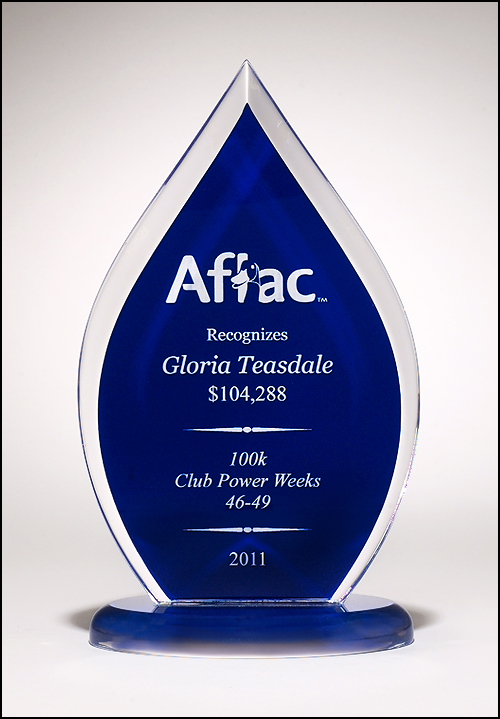 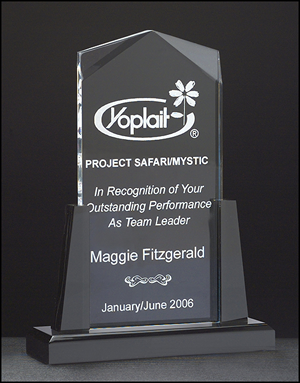 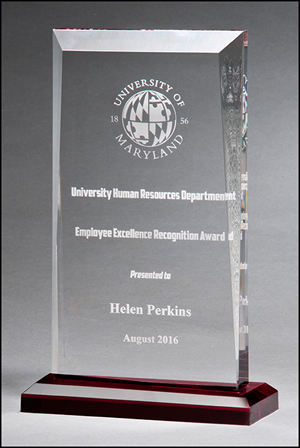 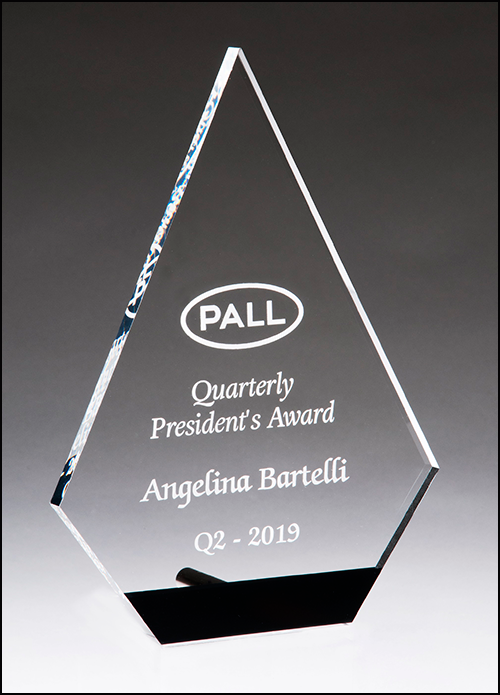 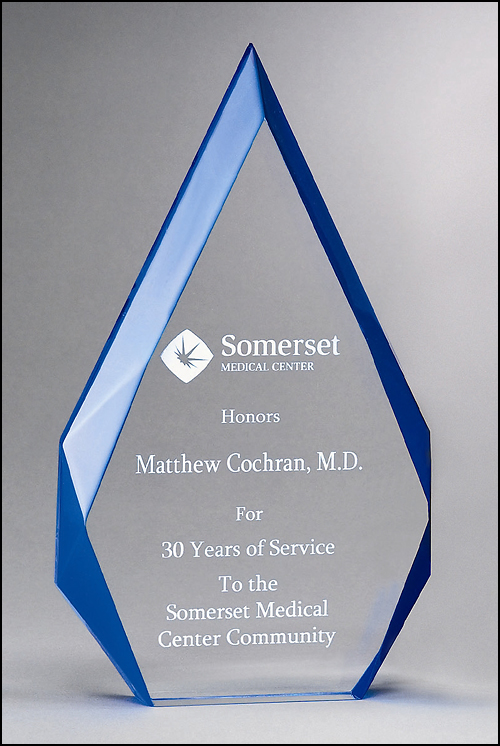 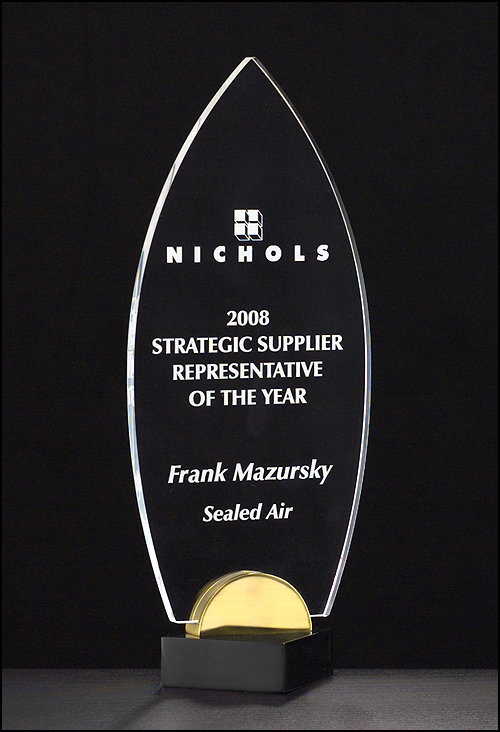 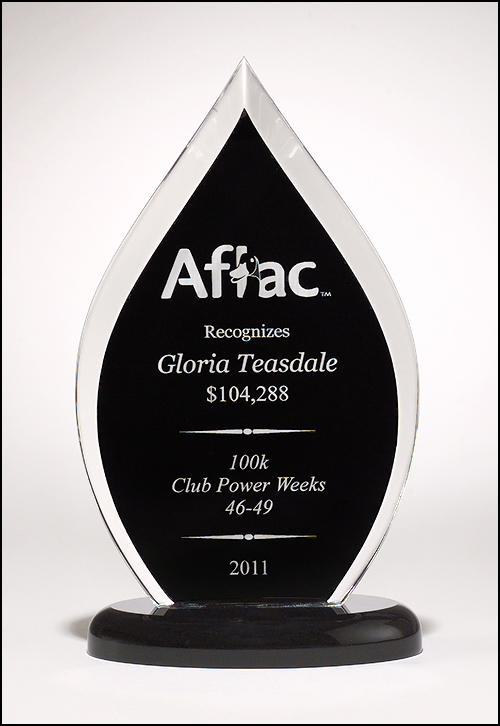 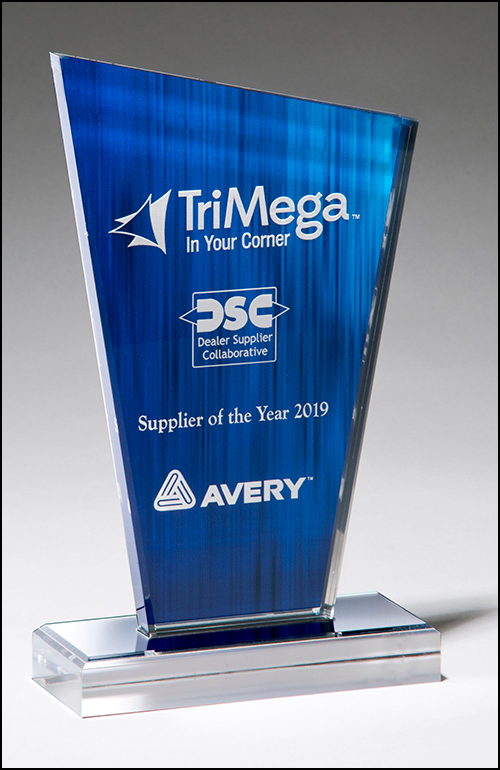 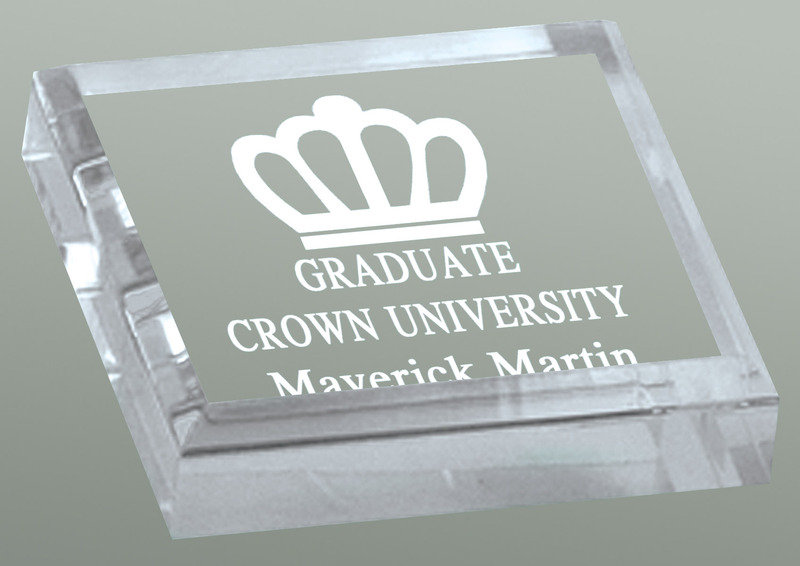 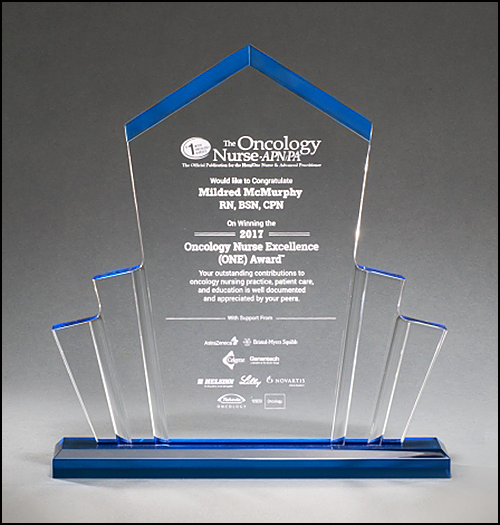 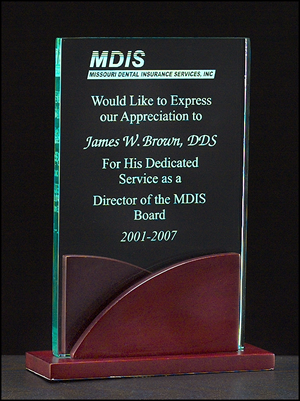 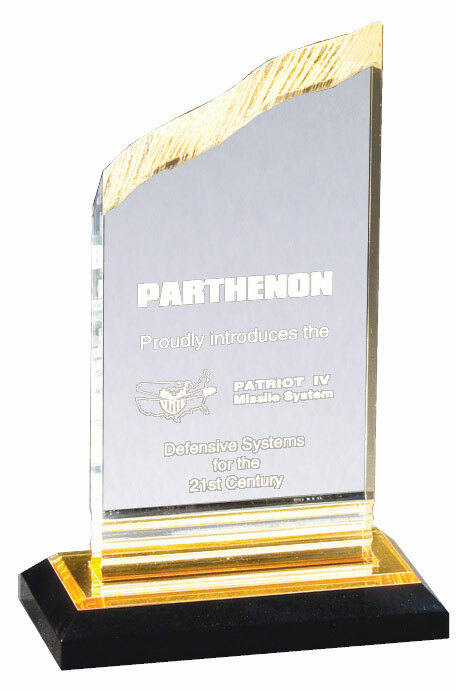 We carry many styles of acrylic awards that can usually be completed in 1 week or less. 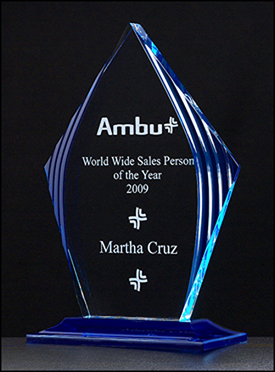 Prices shown include all engraving, and a presentation box. 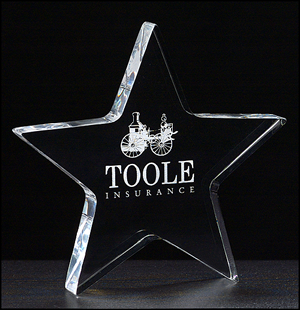 Logos can also be added at no additional cost. 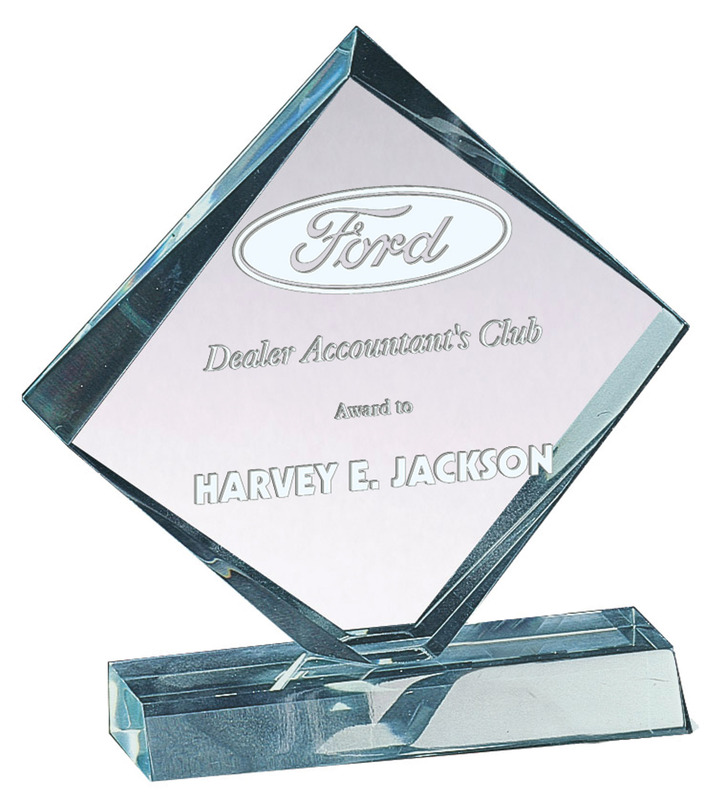 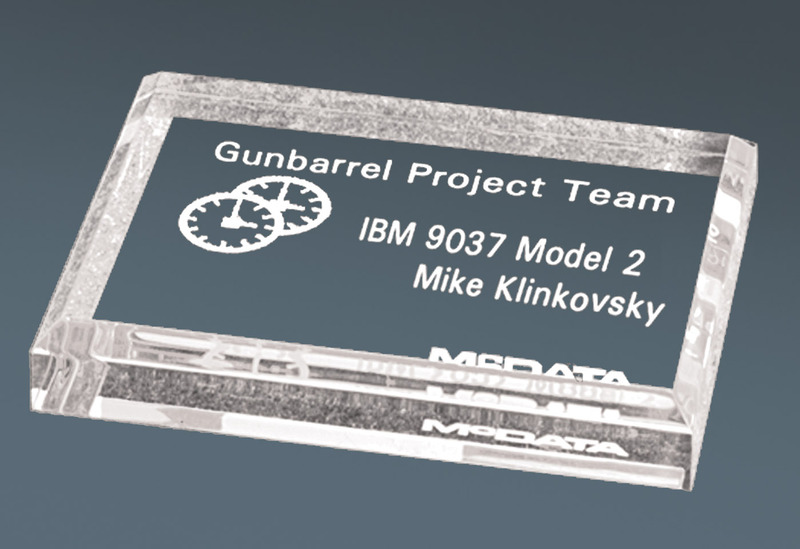 the way you would like to see it engraved and we can reproduce it for you. 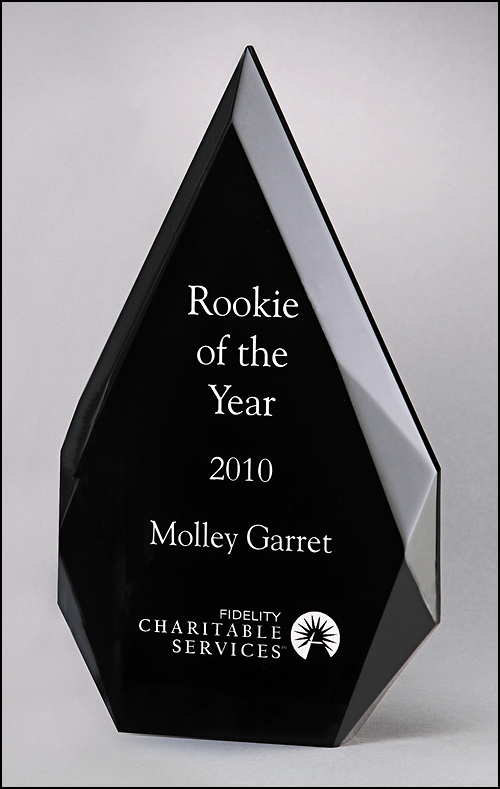 Black and white artwork reproduces best. 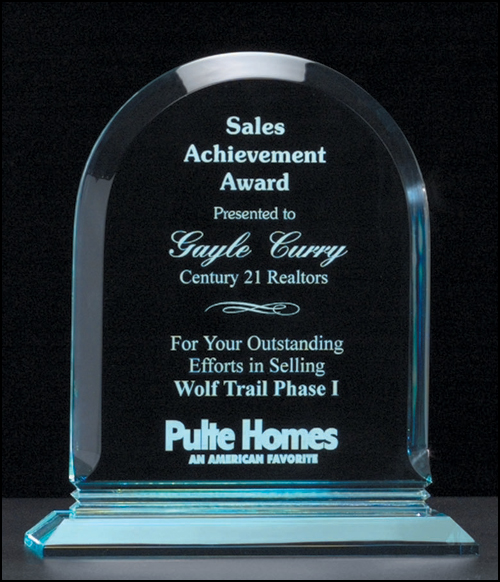 Flame Series award on jade green acrylic base. 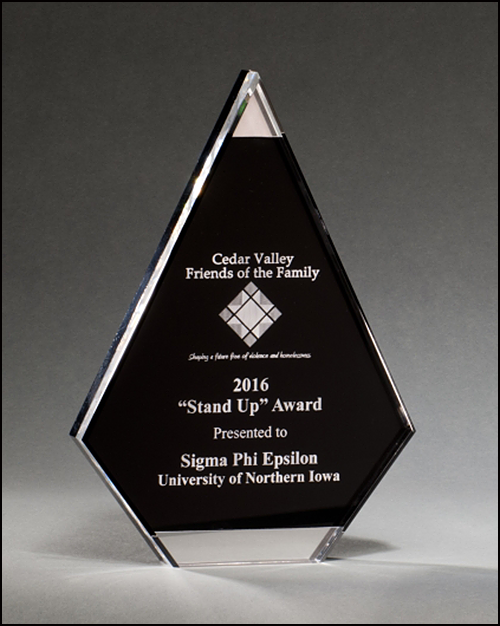 rosewood stained piano finish base with gold metal accents. 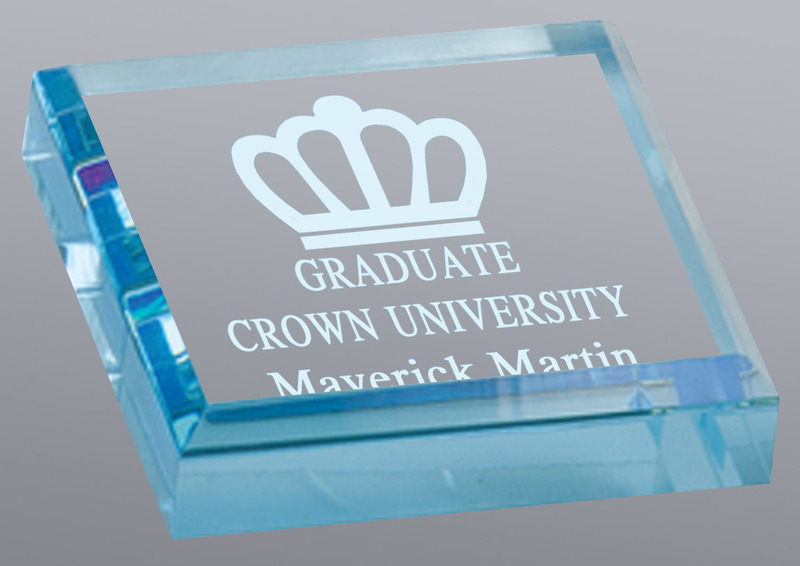 3/4" thick rectangular acrylic paperweight. 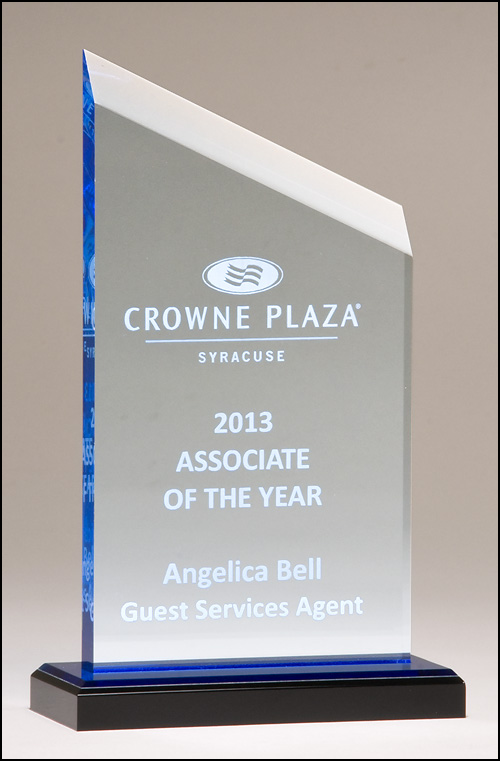 with blue highlight on acrylic base. 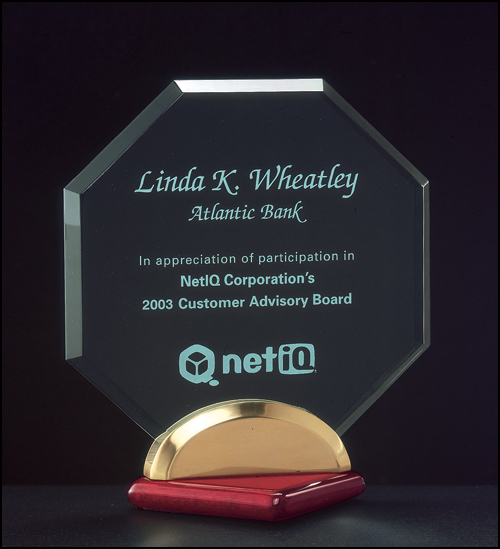 with black and silver metal base. 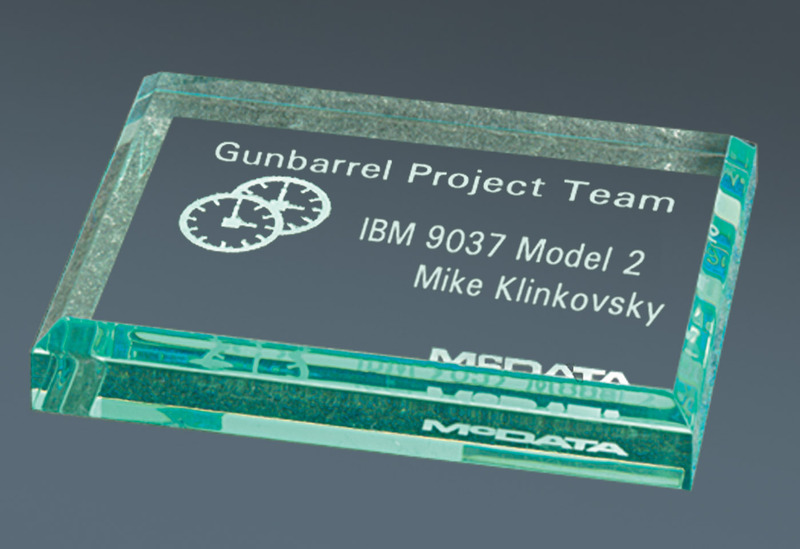 and engraving is included in the price. 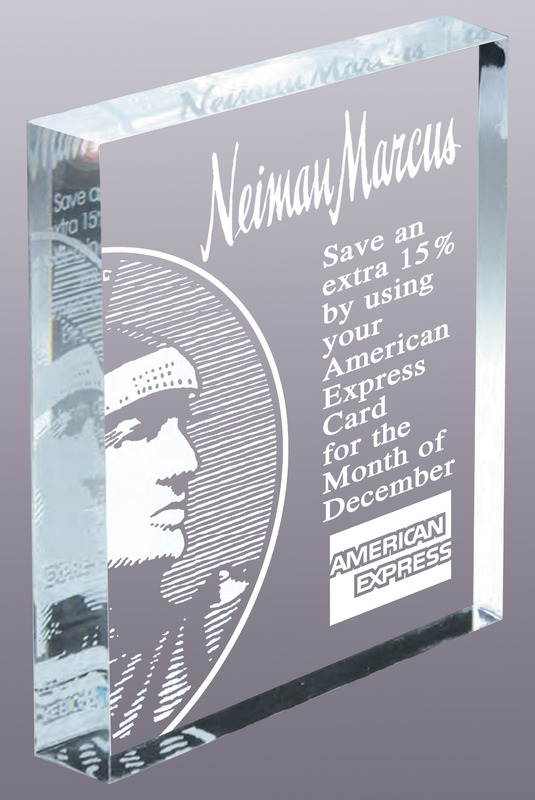 Prices shown on this page reflect the 15% discount.